Citroen says Meeke was "not under control"
Citroen WRC team principal Pierre Budar felt Kris Meeke was out of control and left him with no option but to dismiss the Northern Irishman. Explaining his decision to terminate Meeke and co-driver Paul Nagle's contracts with immediate effect, Budar told Motorsport.com his priority had to be turning Citroen's troubled season around as well as looking after the welfare of his crews. Meeke, who sits eighth in the championship, crashed heavily out of last week's Rally of Portugal, and the violent nature of that crash was the final straw for Budar. "Because this is a dangerous sport, you have to be able to deal with this danger," Budar said. 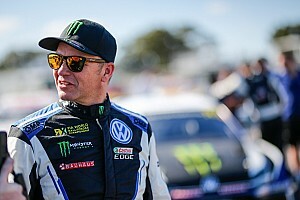 "When you think about Portugal, you are in a situation when the car is perfect for the driver – you can refer to what Kris has said during the rally. "The pace notes were supposed to be perfect, it's the same pace note that has been used in the same stage in previous years. I think this was at least the third time they go through this stage with the same note with no modification of that note. "And you have no pressure because the opposition open the road and your position in the ranking doesn't allow you to reach anything. Regarding all of this, you are supposed to be in a position when you are safe on the road. "You know the result – meaning, it's not under control. We don't have anymore the control on the situation. If we lose the control then we can wonder what will be next." Asked which other crashes Budar felt had compromised Meeke's safety, he replied: "I suppose you know better than I all the results of the rallies since 2014 when Kris has started to drive for Citroen. "Maybe I can invite you to have a look on all of these results and you can find a few examples of what we are talking about. "If we only look at last year and this year, we have several examples of huge crashes for Kris when there was no pressure. "When there is no reason to take so many risks that he would go out of the road. You don't need me to remind you." 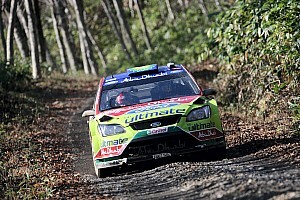 Budar deflected criticism that the unpredictability of Citroen's C3 WRC was to blame for some of the Meeke's crashes. "OK, you can also consider the car's not so bad when he is able to win with it," he said. "He won in Spain on a mix of tarmac and gravel and he was able to win in Mexico, where he had a lot of luck. 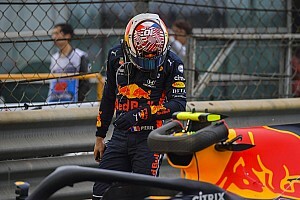 "This year in Mexico, he was in second place without any pressure – he had a lot of time and it was just no reason why he made this mistake [tipping the car onto its side on Sunday morning] this year. 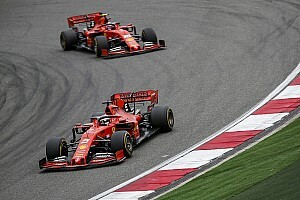 "You cannot only talk of the car being to blame – I think we can find a few example where he had the opportunity to deal with the car when there was no pressure. In that case you have to be able to deal with the car even when it is not perfect. "As a driver, you have to consider how to get the car back safely when there is no reason to take all the risks." Budar said the decision was taken following internal discussions from Monday until Thursday. PSA chief Carlos Tavares and Citroen CEO Linda Jackson had input into the decision. Meeke was told by telephone by Budar on Thursday afternoon, shortly before the announcement. Asked about criticism of the style of the communication, which hinted Meeke might not have been told before, Budar said: "You can expect we did this properly. "I had Kris on the phone before the press release was sent. I can understand it's difficult for him to accept this decision and I can understand he is angry. "I must say, in terms of people, I really appreciate Kris and Paul. They are really nice guys. I know we can see some quite difficult things in the press right now, but I want to say this is sad for me to deal with this – in terms of people, I really appreciate these guys." The number of texts I got from other drivers and co-drivers asking if I thought Citroen's communication system had been hacked is a fair hint to the surprise with which this news was greeted. I was as stunned as anybody else. I'm a big fan of the big-hearted Meeke approach. Always have been and always will be. He's a fighter and – five times for Citroen – he's beaten the world and been a winner. But, countering the anger and emotion coming from Meeke fans is the fact that Citroen has to square the circle that is its current WRC campaign. For whatever reason, the Parisian team finished fourth from four last year and it sits in the same position today. And Meeke's eighth in the drivers' table, 76 points behind leader Thierry Neuville. The numbers are stark and can't be ignored. 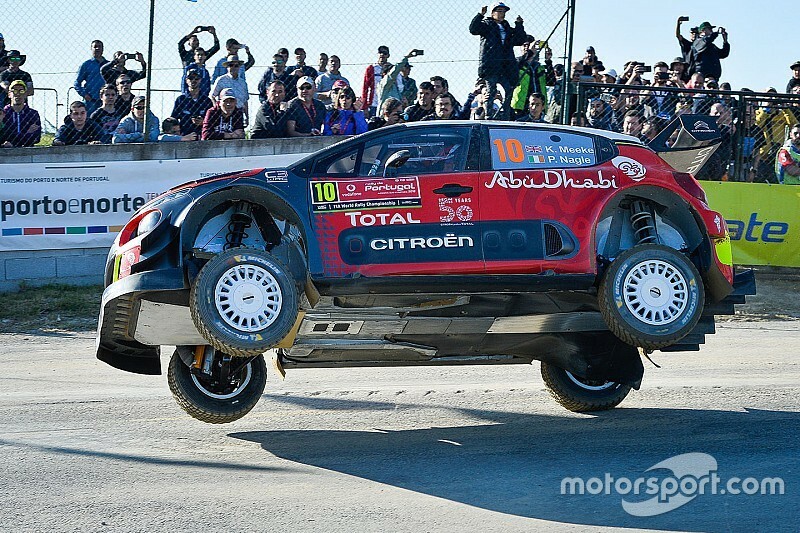 Something had to change for Citroen and that something is Meeke. There's a whole backstory to Meeke's time with Citroen. And this isn't the time or the place to go into such detail, but suffice to say his efforts to develop the C3 WRC through 2016 were both financially and politically hamstrung. Equally, Meeke made too many mistakes last season. He tried too hard to drive an inconsistent car quickly. 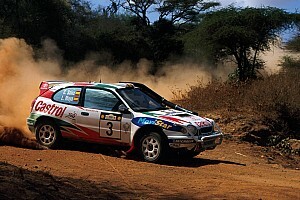 Too many hearts were in too many mouths while Meeke was on stage in the C3. The massive frustration for me is that things were changing, Pierre Budar has turned things around – no longer are mechanics jumping ship from Citroen – and Meeke had found more consistency this season. Then Portugal happened. He remains one of the top three fastest rally drivers in the world right now; few can deliver the blinding speed and spellbinding bravery the Dungannon driver can call on. Clearly, that's not enough for Citroen.